Asking for help is not easy, especially for people like Sonia Marsh, who believes she should be able to do everything herself. And yet being an Indie author is extremely challenging, so she started a Pubslush campaign asking for your support. Note that Sonia is a great author and skilled at marketing. 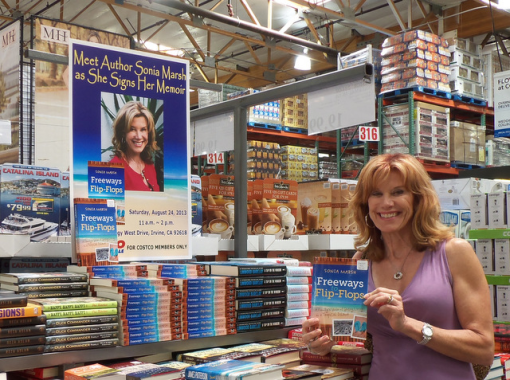 How many indies do you know who’ve landed Costco deals? Still she can use support. Sonia made a short video with 8 super “Gutsy” people which explains the campaign. The video and the contributor rewards are listed on the Pubslush page. a professional film company to video the panel of “Gutsy People” for people who wish to share the video. 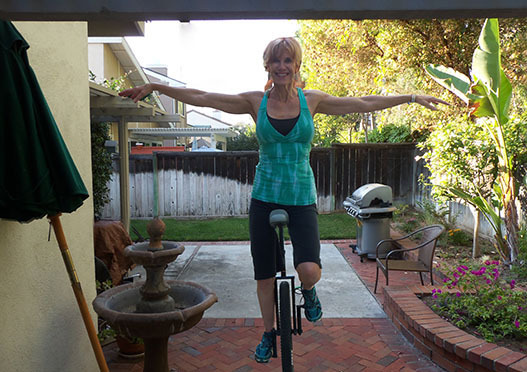 a famous keynote speaker, Marybeth Bond, aka the Gutsy Traveler. a professional photographer taking photos of people attending our event (will be shared). accommodations at the Regency South Coast Village Movie theater (see photos). refreshments and a no host bar. donations form the book’s proceeds to WomanSage, a non-profit that helps women in transition and a great cause to support. Subscribe to this blog for updates on indie authors and self-publishing. How to raise money for book projects? Amanda L. Barbara, vice-president of Pubslush explains how crowdfunding helps with finances as your masterpiece gets written. Hosted by Jason Matthews and Marla Miller. Share your thoughts on Pubslush or crowdfunding in general. Home page of How to Make, Market and Sell Ebooks. Need help financing your book project? Having extra money might be nice for all the costs that come into play: editing, cover design, marketing, etc and also pay some bills while you’re crafting the masterpiece. 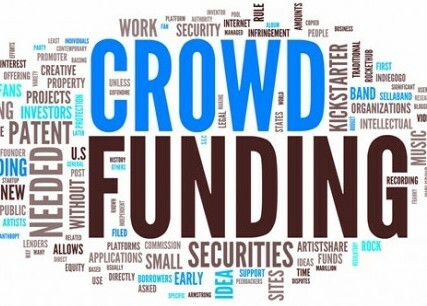 Known as crowdfunding or crowdsourcing, several business models exist. Some require applications and approval. Many start-ups have come and gone in just the past few months. You may know biggies like Kickstarter or Indiegogo, sites used to raise money for any type of idea. If you’re a writer and want to do this, have a look at Pubslush–different because it’s just for authors. 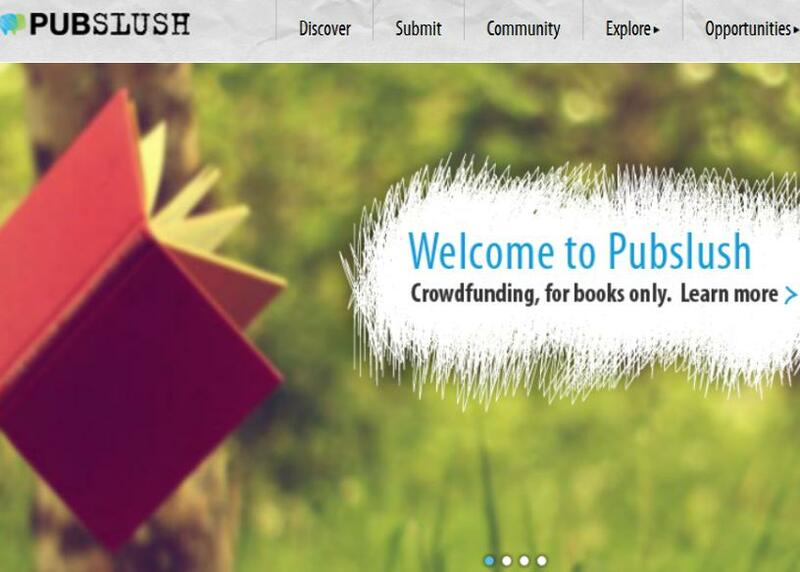 Pubslush is a global crowdfunding platform only for books (every genre). Authors can raise funds, understand their audience and publish successfully via self-publishing or traditional means. It allows you to gauge the initial audience with book ideas while also enabling readers to pledge financial support to bring promising books to life. Check out some of the Current Campaigns and Successful Campaigns. 1. Authors build a book campaign, submitting a summary and sample of their work. 2. Readers financially support their favorite submissions in exchange for a reward (like a first edition, digital preview, etc). 3. Authors raise money and use supporter analytics to publish successfully via any publishing route they prefer. Why Pubslush verse other crowdfunding sites? Personalized Service – The Pubslush team provides one on one service to all authors. They are an organic, hands-on company focused on educating users and providing resources and tools to facilitate the publishing process. Analytics – Pubslush offers a special service to all authors called Market Analytics. At the end of your book campaign you will receive a detailed demographic summary breaking down important information regarding your supporters such as location, age, traffic source and more. This is a powerful tool for effective marketing. Flexible funding – Determine a book’s viability by setting a dollar threshold. Pubslush offers flexible funding, which allows authors to keep all funds they raised after they reach their minimum. Free, Risk-free – No up front costs! Pubslush charges a 4% commission plus third party processing fees at the end of a successful campaign. Pubslush 101 and Author Education provide a healthy amount of information to help you succeed. Below are a few questions posed to Amanda Barbara, vice president of the company. Does Pubslush still donate one book to a child in need for every book sold? Is that for print only? The Pubslush Foundation allows us to act on our commitment to literacy initiatives for children worldwide. Our one-for-one program is the cornerstone: for every book we sell, we donate a book to a child in need. 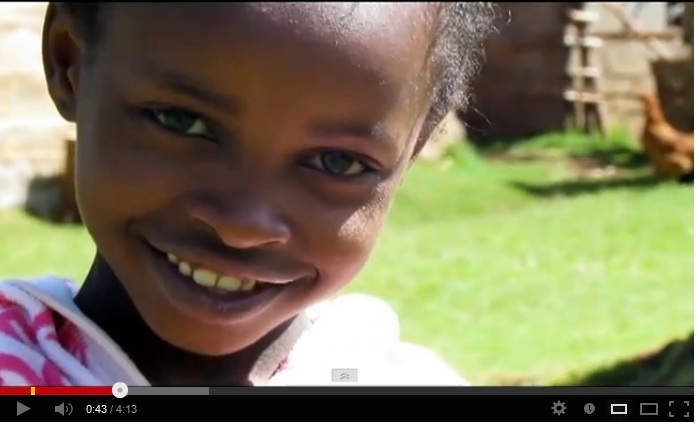 Pubslush’s main giving partner is Flying Kites, an orphanage in Kenya. Our president had been involved in education and human rights nonprofits before launching Pubslush. During her travels, she discovered an ideal inaugural giving partner. Flying Kites was a perfect fit for us, and it’s near and dear to our hearts. We work very closely with the organization; we’re working together to fund the construction of a new library and have already funded three new teachers for their school. As we continue to grow as a company, we’re expanding our relationships and partnering with other organizations in Brazil and Israel. Our dream has always been to provide e-readers to children without access to literature. We are very excited and hopeful that we will be able to make this dream a reality with the help of our loyal writers and readers. It is for both print books and ebooks. Authors who crowdfund on our site are also able to donate a portion of their proceeds to the foundation as well. What is Women on Wednesday? Women on Wednesday is a blog feature that showcases the stories of amazing women authors. These authors don’t necessarily need to be Pubslush authors but women who have published a book and want to share their story with our blog community. Brazil is still very much in progress but it is taking longer than expected. We are currently looking to expand into other nations such as Italy. We strive to eventually have platforms in different languages as well. Pubslush Press published our first book in May 2013: a beautiful mess by Ali Berlinski. The book is amazing and we are very excited we decided to publish it. As a team, we have decided to put more emphasis on the platform and its growth at this time. We will continue to have our publishing imprint and the next book we believe in, we will publish. However, Pubslush’s main business is the crowdfunding platform. What reassurance do investors have that the book project gets completed? Authors are entered in Pubslush’s terms of service when they create a campaign on Pubslush. We have never had an author not fulfill the rewards they have promised to their supporters as of today. The Pubslush team does extensive follow up with author’s post campaign to ensure they fulfill their rewards. Pubslush has also introduced the “Buy Button” which allows authors to share their Amazon links on their campaign page after their campaign has been completed. This feature helps Pubslush ensure books are published with the funds raised. 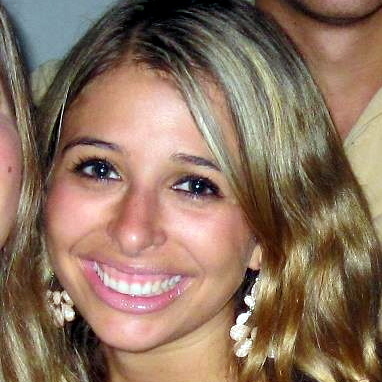 Amanda L. Barbara is the vice president of Pubslush. A philanthropist at heart, she serves on the board of directors for the Pubslush Foundation, which supports children’s literacy initiatives worldwide, and is a founder and director of The Barbara Family Foundation, an organization committed to assisting charities and children in need. Amanda is an advocate for crowdfunding in the publishing world and has spoken at various conferences, such as Writer’s Digest, Tools of Change, and the Digital Publishing Innovation Summit, and has been invited to serve as an ambassador and speaker at CONTEC at the Frankfurt Book Fair. Do I Need to Copyright My Book? SmartURL vs BookLinker for Amazon Books?